After the success of our pre-premier campaign for Game of Thrones, which invited new audiences to explore the storyworld of Westeros, our second season work challenged the now-huge fanbase to "Pledge Their Allegiance" – to a noble House, to the show itself, and to HBO. To kick off the campaign, we launched a series of pre-premiere trailers – one for each House represented in the series – and encouraged fans to visit the Game of Thrones Facebook page to choose which House they would support in the coming weeks. At Wondercon in Anaheim, we offered fans the chance to suffer the wrath of King Joffrey for making the wrong allegiance choice. Hundred of convention attendees lined up at our custom-built green-screen studio to have their heads placed on a spike. 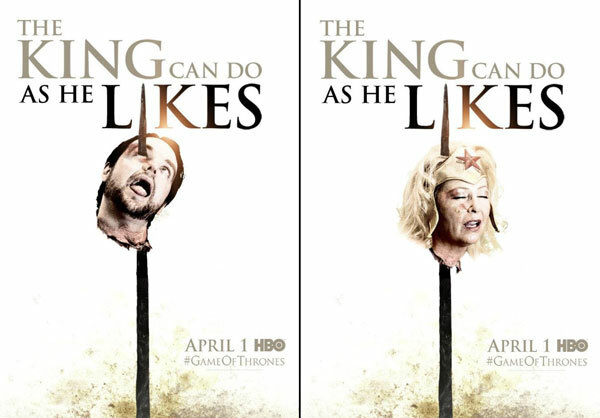 These fan posters were posted live to our Facebook Page for social sharing. 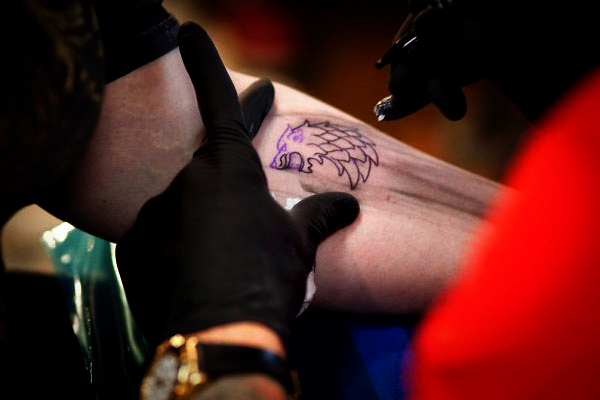 Just before the Season Two premiere, we challenged fans to take the ultimate pledge of allegiance – in ink. A series of permanent tattoos were designed by top tattoo artist, Ami James, and – for one day only – offered free at an event at the Wooster Street Social Club. We wondered if anyone would have the courage to get HBO-themed ink – and were amazed to finds fans lining up from 2AM that the morning to reserve their place in line. The event itself completely sold out. Pledge Your Allegiance didn’t end with the season finale – we continued the theme on, using it to promote the Season Two DVD & BluRay launch. My Watch Begins featured a custom microsite that asked fans to join together and “Take The Black” in a communal reading of the Night’s Watch Oath. Using their PC microphone and a karaoke-style video, we collected ten of thousands of voices and mixed them together in real time to provide a visceral and spreadable fan-created version of the Oath. The yearlong campaign culminated in a launch event in the heart of NYC, where a night of festivities and celebration led to the official midnight release of Game of Thrones on DVD & BluRay. From weeks before the first episode to the end of Season Two, our work to galvanize a growing fanbase into an army of evangelists helped propel Game of Thrones from an untried fantasy series to one of the most successful – and most fan-worshipped – shows in HBO history.